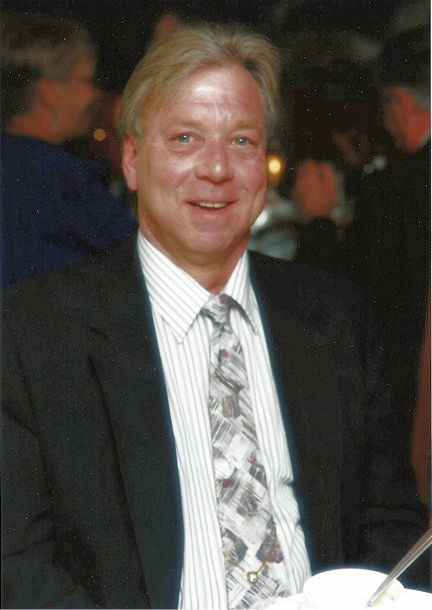 Obituary for Ronald John Pettenger | Stone Funeral Home, Inc.
Ronald (Ron) John Pettenger, age 69, of Petoskey, Michigan passed away on Friday August 3, 2018 from a long-term chronic illness, surrounded by his loving family at McLaren Northern Michigan Hospital. Ron was born on December 22, 1948 in Petoskey Michigan. He was the 2nd eldest son of Bill and Marge (Dennis) Pettenger. He was a graduate of Petoskey High School, class of 1967. He loved sports and played Basketball and Football for the Fighting Northmen. On April 7, 1973, he married the love of his life, Ruby Pettenger, and they shared over 40 years of happy memories. Ron is blessed with 3 daughters: Kelly Carson, Becky Pettenger, and Krisy Pettenger, along with 3 wonderful grandchildren: Ashley Pettenger, Brandon Carson and Gabby Forbes-Pettenger. They all held a special place in his heart and were his pride and joy. Ron will be remembered best for his dedication and hard work. He was a talented, skilled man and worked many professions over the years. His greatest passion was driving a truck for Parker Motor Freight. He took great pride in his job and greeted all the customers on his local route with a big smile and friendly hello. He was an active member of the Fraternal Order of Eagles and Teamsters 406. He always enjoyed spending time with friends and family. Some of his favorite pastimes included: Camping, boating, travelling, watching football, Saturday wing nights at Southwoods, and making homemade potato soup. Ron was preceded in death by his brother, William (Bill) Pettenger from Whiting, New Jersey and his parents, Bill & Marge Pettenger from Petoskey, Michigan. He is survived by his dear friend Ruby Pettenger, daughters- Kelly Carson, and Becky & Krisy Pettenger, grandchildren- Ashley Pettenger, Brandon Carson, and Gabby Forbes-Pettenger, sister- Susie (Randy) Mays from Powhatan, Virginia, sister-in-law Vivian Trovato-Pettenger from Whiting, New Jersey, and many other aunts, uncles and cousins. A special recognition goes out to some of his closest and dearest friends: The Brecheisen Family, Ron Lawrason, Al Beaudin, Allan Dunkel, Maria Tibaldi and many others. A Memorial Service will be held at Stone Funeral Home on Wednesday August 8th, 2018 at 6:00 p.m., Pastor Gary Mindel will officiate. Visitation will be from 4pm-6pm. Anyone wishing to make a memorial contribution is asked to make a donation to the Little Traverse Bay Humane Society or The Friendship Centers of Petoskey in his honor.